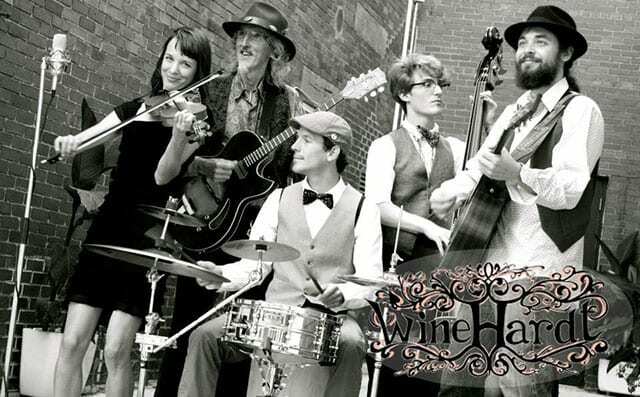 An acoustic jazz project, based out of Wolfville, brings five musicians with a shared passion for fine red wine and Gypsy Jazz together to create an infectious groove of upbeat tunes based on the melodies of the inimitable Django Reinhardt. The group consists of Nicholas Tipney and Jesse Potter on guitars, Amy Lounder on violin, Cailun Campbell on bass and Bruno Allard on drums. Grab your beret and a baguette and look forward to experiencing the music of Pre-War Paris…and of course, you will be dancing!